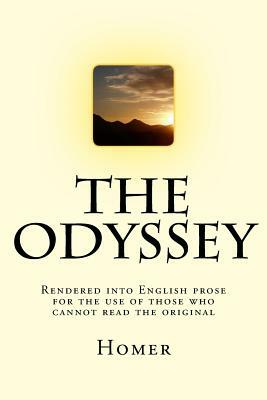 The Odyssey is one of the two major ancient Greek epic poems (the other being the Iliad), attributed to the poet Homer. The poem is commonly dated to between 800 and 600 BC. The poem is, in part, a sequel to the Iliad, and concerns the events that befall the Greek hero Odysseus in his long journey back to his native land Ithaca after the fall of Troy. It takes Odysseus ten years to return to his native land of Ithaca after ten years of war; during his 20-year absence, his son Telemachus and his wife Penelope must deal with a group of unruly suitors who have moved into Odysseus' home to compete for Penelope's hand in marriage, since most have assumed that Odysseus has died. Samuel Butler (4 December 1835 - 18 June 1902) was the iconoclastic English author of the Utopian satirical novel Erewhon (1872) and the semi-autobiographical Bildungsroman The Way of All Flesh, published posthumously in 1903. Both have remained in print ever since. In other studies he examined Christian orthodoxy, evolutionary thought, and Italian art, and made prose translations of the Iliad and Odyssey that are still consulted today. He was also an artist.